We invite you to join other fathers, enjoy a meal, and to talk about what fatherhood means to you. We also want to know your needs and wants as a Pinellas County father. 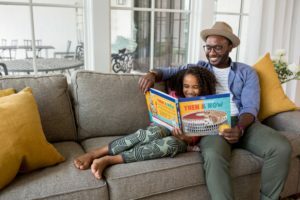 Find about opportunities that are already available for fathers, and tell us what other community resources and support is needed. Join hundreds of social service workers and partners for this day-long conference aimed at inspiring attendees and enhancing their knowledge base and skills. 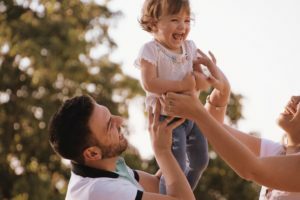 Learn how to have difficult or uncomfortable conversations and why these play a vital role in strengthening and supporting families. 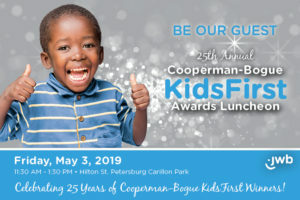 Our annual luncheon is held to honor Cooperman-Bogue KidsFirst Award winners for making a difference for Pinellas children & families and H. Browning Spence Education Award winners for furthering their education despite the challenges of foster care.